I was hesitant to put it since the Vultee P-66 vanguarg had already appeared in this thread. But the one in the picture that I put, in the prototype stadium, the one you describe was sufficiently different and interesting to post it back. 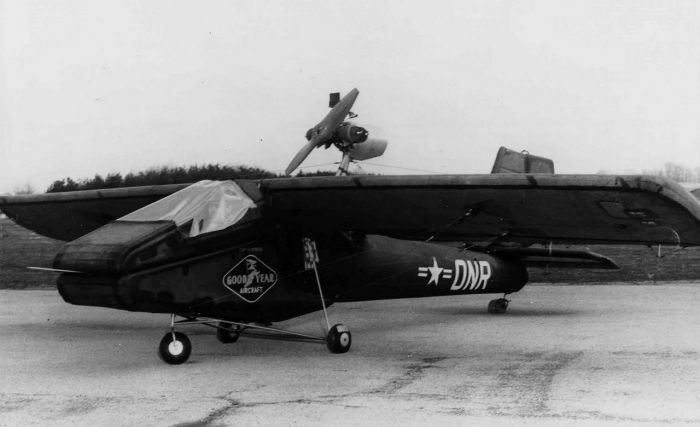 It was an inflatable experimental aircraft made by the Goodyear Aircraft Company, a subsidiary of Goodyear Tire and Rubber Company, well known for the Goodyear blimp. 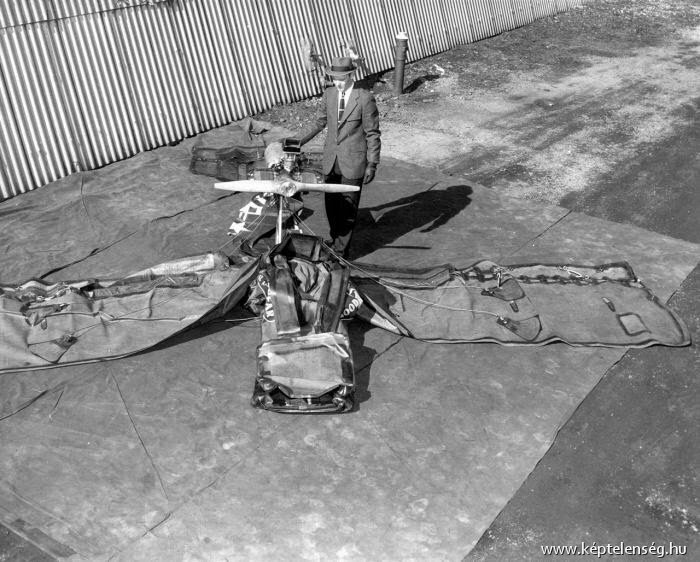 Although it seemed an improbable project, the finished aircraft proved to be capable of meeting its design objectives, although its sponsor, the United States Army, ultimately cancelled the project when it could not find a "valid military use for an aircraft that could be brought down by a well-aimed bow and arrow". The Bristol 188 is a British supersonic research aircraft built by the Bristol Aeroplane Company in the 1950s. Its length, slender cross-section and intended purpose led to its being nicknamed the "Flaming Pencil". Looks like a mini "HABU"
This is an easy one and this plane is real by the way. 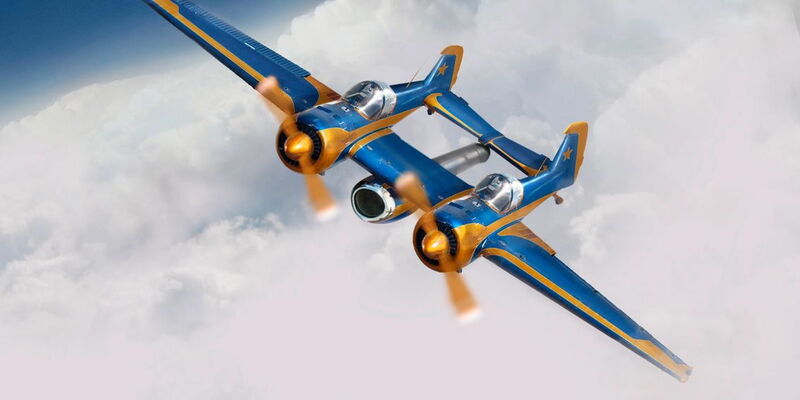 This is the Yak 110. Strapping two airframes together to create an entirely new airplane has actually been done quite a few times in aviation history. You may know about the famous F-82 'Twin' Mustang. 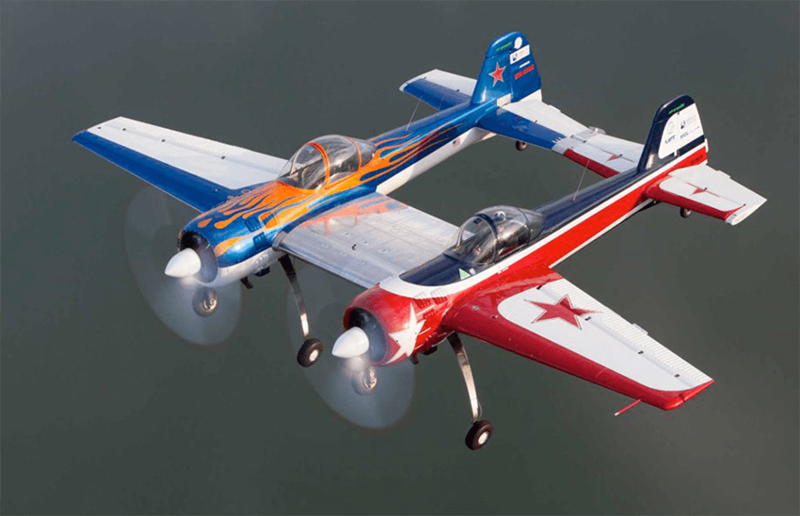 Using two Yak 55's, the team assembled this hybrid that includes dual controls from either cockpit. Recently the aircraft made its first flight after a year of construction and three years of planning. Test Flown by Len Fox, an experienced test pilot with over 54 experimental types under his belt, the patchwork Yak performed almost flawlessly. However, that's not where the story ends - these 'Fat Tire Cowboys' (as the team like to be known) have even bigger plans than merely strapping two aerobatic aircraft together. Namely, they want to add another engine to make it a tri-motor. The plan was to slap a jet engine on the underside of this thing. The artist's impression of how the finished bird will look gives a good indication of the uniqueness of this project. This, however, is nothing on actually seeing and hearing the results for yourself. This project was conceptualised by display pilot Jeff Boerboon. Now the third engine has been installed, the Yak will be gearing up to perform at airshows in 2018 in the hands of Jeff himself. What with the noise of not only the two radial engines but a turbojet as well, the spectacle should be quite something to say the least. Very cool and wild idea!